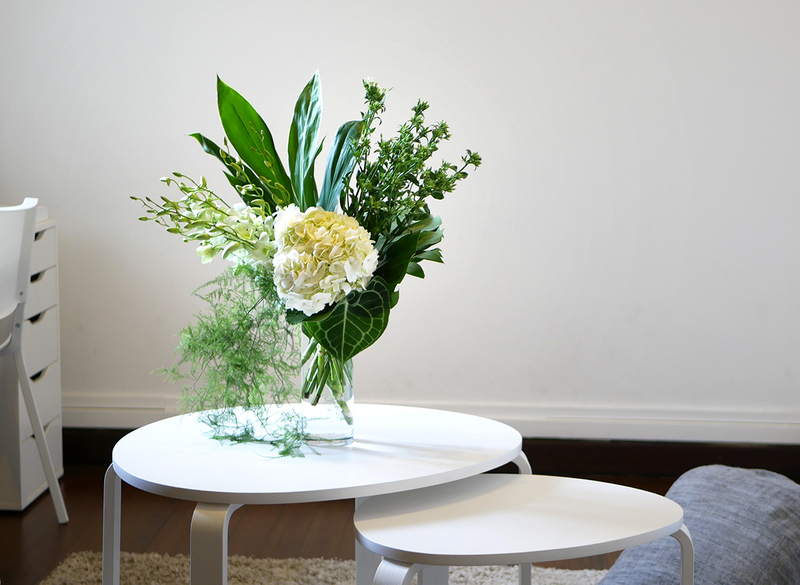 We are pleased to introduce our new subscription service from DAN TAKEDA FLOWER & DESIGN and hope to bring fresh and uplifting to your home every week. People often think that fresh flowers will not last very long and there are not many variety in Singapore but this is not true. Many kinds of rare and beautiful flowers are imported from other parts of the world such as Netherlands, New Zealand and Kenya everyday and they can last for a while. When you subscribe to FLOWERS with YOU, we will bring you fresh and creative floral arrangements (vase provided) right to your doorstep. All you have to do is to place them at the favourite spot at your home and watch your mood being uplifted!